Produced entirely from Canadian gold sources, the Canadian Maple Leaf is made of 24 karat gold. Unlike American Eagles or South African Krugerrands which are 91.67% (or 22 karat) pure gold with the remainder coming from copper or silver to form a more durable alloy, Maple Leaf gold Canadian coins are 99.99% pure. 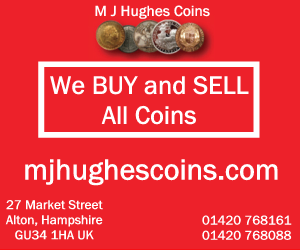 They are said to be the purest gold bullion coins in the world. Being 24 karat gold, Maple Leaf gold coins are indeed less durable than American Eagles or South African Krugerrands. Pure gold bullion has rarely been used as a regularly circulated currency because it can be easily worn out, damaged, or bent over time. However, despite being legal tender in Canada, Maple Leaf gold coins are not a regularly circulated currency and are intended mainly for collectors and investors to own and hold onto. You can not walk into a Canadian 7-11 and buy lunch with a Maple Leaf gold bullion coin, despite its legal tender status. Since Maple Leaf gold coins are primarily collector`s items and investments, perhaps the lower degree of durability is a non-issue. 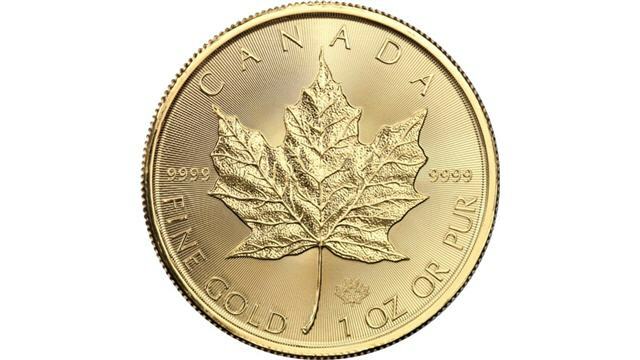 Canadian Maple Leaf gold coins have become popular in many markets because of their status as “pure gold”. Some people are disappointed or lose interest when they discover that another gold coin is less than 24 karat. Perhaps there is an aesthetic attraction to owning pure gold. And perhaps some people want the option of melting down their gold to increase liquidity in times of emergency. And there are likely people who misunderstand the “impure” status of lower karat gold coins, thinking that they contain less gold than a 24 karat coin of the same denomination. 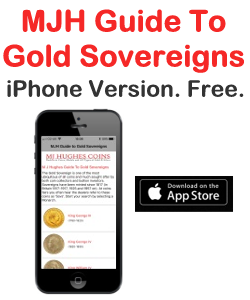 But in reality, a 1 ounce Krugerrand and a 1 ounce Maple Leaf contain the same amount of gold. The additional metals are not counted in the weight, only the gold content is counted. In any case, these beliefs are all reasons for the disproportionate popularity of the gold Canadian Maple Leaf coin. Another reason for the Maple Leaf’s popularity is its attractive design. The simple yet iconic nature of the Canadian maple leaf (which also appears on the Canadian flag) immediately strikes the viewer and arouses images of Canada’s majestic natural wonders and abundant natural resources. The reverse side of the coin shows a bust of Queen Elizabeth II, depicting Canada’s history as a former British settlement and part of the Commonwealth. The design is similar to the Canadian penny (1 cent coin) which also shows a maple leaf on one side and Queen Elizabeth II on the reverse. The Canadian Maple Leaf Gold Coin is available in the following denominations: 1 Troy Ounce, 1/2 Troy Ounce, 1/4 Troy Ounce, 1/10 Troy Ounce, 1/20 Troy Ounce. There is also a series of Canadian Silver Maple Leaf coins, also 99.99% pure silver bullion. The Canadian Maple Gold Coin is not only a wise investment, but also makes a beautiful keepsake or a meaningful gift. For those who intend to take good care of their collections and make an effort to keep their coins in good condition, the 24 karat Canadian Maple Leaf gold coin is a fine addition to, or starter of, any collection.